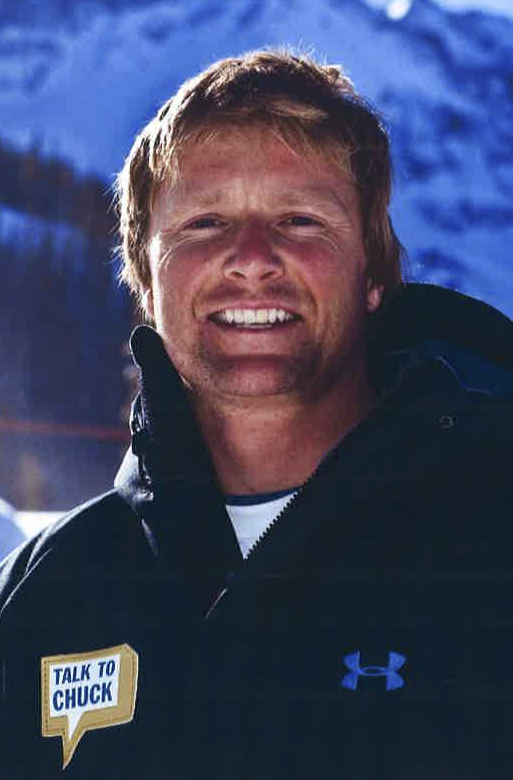 Daron Rahlves is the most accomplished American downhill racer of all time. He retired from alpine ski racing following the 2006 Olympic Games with seven national titles, 12 World Cup victories, including a win in the famed Hahnenkamm combined downhill in Kitzbuhel, Austria. He was also the 2001 world champion in the Super G.
Several of his victories were significant to American ski history. In 2001, at the World Alpine Ski Championships, he won the Super G gold beating out Austrian legends Stephan Eberharter and Herman Maier on their home course in St. Anton, Austria, silencing a crowd of tens of thousands of raucous and highly partisan supporters of the Europeans. Two years later, in front of a similar crowd of 60,000, he sped to victory on the Hahnenkamm downhill, the most prestigious honor in alpine skiing. Altogether, Daron would earn nine wins in World Cup downhill events, the most by any American ever, to go along with three World Cup Super G wins. In 2005 he capped his great career with a silver in the downhill and a bronze in the giant slalom at the FIS World Championships. The competitive spirit burns deep within Daron Rahlves and he could not keep himself out of competitive skiing for very long. He poured his energy into the new sport of Skier Cross and became an integral figure on the first U.S. Ski Cross Team. En route to earning a berth on the 2010 Ski Cross Olympic Team, Daron achieved a World Cup podium and a victory at the X Games. He is a true multi-sport athlete, winning the World Expert Championship in jet skiing in 1993, earning victories in extreme skiing events and competing in motocross. He has given back to his sport through advising younger members of the U.S. Ski Team, promoting skiing to youngsters and serving on the California Governor’s Council on Fitness and Sports. Daron is also involved with the Level Playing Field Fund, a program designed to encourage under-privileged athletes. If you notice any errors or inconsistencies in Daron Rahlves's bio, click here to let us know.